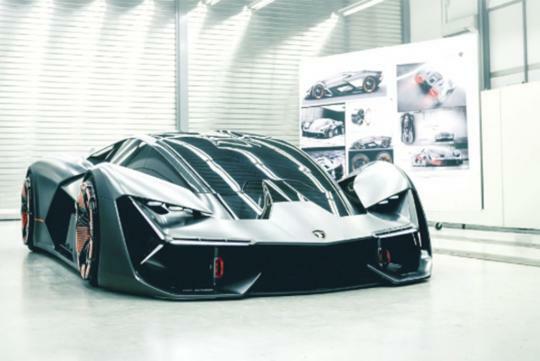 Said to look like the wild-looking Terzo Millennio concept, the new Lamborghini hybrid hypercar has been going around the world and select prospective customers are said to have seen it. According to The Supercar Blog, the car is dubbed the LB48H. Unlikely to called that when revealed officially, the hypercar is believed to be using the Aventador’s 6.5-litre V12 engine and potentially its single-clutch, independent-shift-rod gearbox. We have no idea what electric motor/s have been used in conjunction with the engine to make it a hybrid. Also stated in the article, Lamborghini will only build 63 units, starting as soon as later this year. Expected to cost upwards of S$3.4 million, some 200 selected customers are said to have attended the private event in Italy recently, and more who are expected to attend similar functions in New York and Tokyo.